Chelsea have confirmed that vice-captain Cesar Azpilicueta has penned a fresh long-term deal to keep him at the club until the summer of 2022. The Spain international has been with the Blues since 2012 and during this period, he has racked nearly 300 appearances across all competitions. His previous deal was expected to expire at the end of the 2019/2020 campaign but the club have now decided to renew his contract for a further two years with a wage increase. "I am really happy to extend my stay here at Chelsea. Since I came, I felt the joy and responsibility to play for this club, these fans, and every time I go on the pitch I try do my best," he told the club's official website. Chelsea have the policy of offering only one-year deals for players above the age of 30 and this is understood to have played a key role in finalising a renewal with the Spaniard at the earliest possibility. 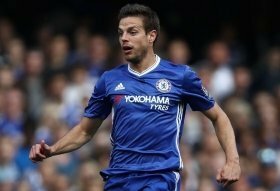 Azpilicueta has been ever-present for the Blues in the top-flight this term and he is widely expected to start during the trip to west Midlands to face Wolverhampton Wanderers on Wednesday night.